900+reviewers on Recipezaar can’t be wrong! 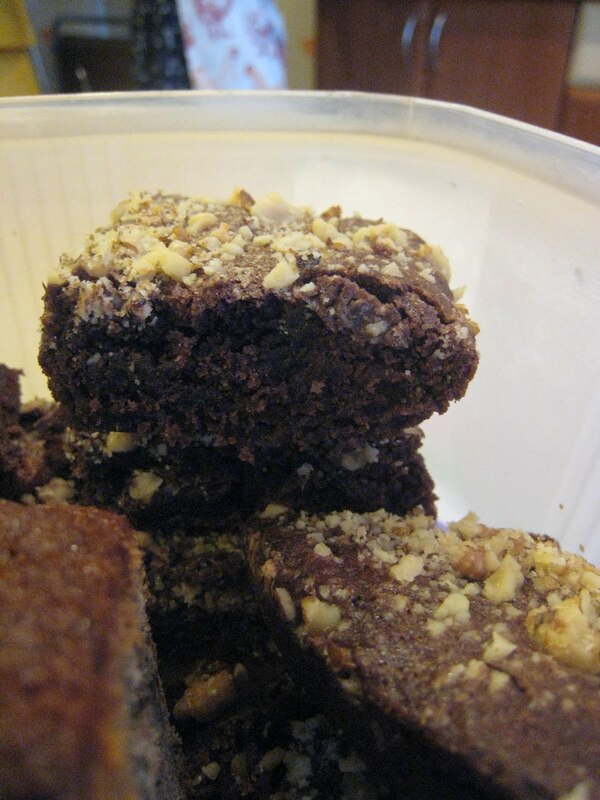 This truly is the best brownie recipe. It’s really easy, and impossible to mess up, especially if you use real butter, cocoa, and vanilla! 1) Grease an 8-inch square pan or line with foil. 2) Melt butter in microwave or in saucepan on stovetop. 3) Combine melted butter and cocoa, stir until cocoa is dissolved. 4) Add sugar and mix well. 5) Add eggs one at a time and stir until well-combined. 6) Stir in vanilla, flour and salt until you no longer see any flour. 7) Fold in “Whatever Floats Your Boat”! 8) Spread in pan and bake for 25 minutes. 9) Cool completely before cutting into squares. If you have more refined taste and would like to add some fancy features like icing, cheesecake swirls, etc., feel free to go all out! But these brownies are great as is. Made these for our 4th of July celebration- I added butterscotch chips, yum! This is a blog for sharing and recording the recipes I've found to be successful- most of them while living in Russia with limited ingredients! How to Make Banana Bread-Comfort Food!